Not because it feels like a Best Picture winner, because movies made solely for the purpose of winning Best Picture are just as bad as movies made solely for profit. “War Horse” simply struck a cord that no other movie this year did. Its combination of sight and sound is unparalleled; its story is the stuff that makes a classic possible. Few movies can come with a large set of flaws, yet still come out as my favorite movie of the year. Spielberg realizes, like few others do, the power of moments of pure cinema. If you put Terrence Malick’s name into just about any search engine, only one picture will consistently pop up of him. * In it, he looks more like a guy who has gone bird watching for two decades (which he actually did). 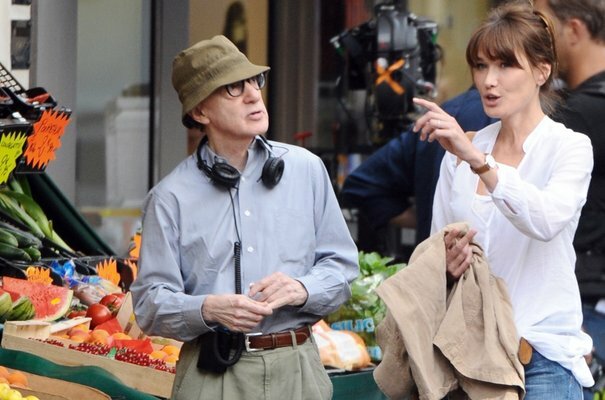 Make no mistake, this is one of the greatest living directors. Part of the intrigue of a Terrence Malick movie has always been the director’s intensely private life. However, he always intended that so the viewer would focus on the movie itself, so that is exactly what we are going to do right now. I still don’t totally understand “The Tree of Life,” but it is the kind of movie that is intended to be as dumbfounding as life itself so often is. The movie brings a sense of wonder to the creation of the universe, and an intimacy in its portrayal of family. And of course, it looks stunning too; as if each frame is another painting. Nice girl Erica Albright took a turn for her role in “The Girl With The Dragon Tattoo.” She created both the strongest, and most vulnerable, character onscreen this year. Lisabeth Salander was already a popular character, but Mara cemented her as one of the great feminine heros of our time. She took a physical and emotional transformation that is nothing short of brave. Bravery is usually the last thing that comes to mind when I think of actors, but Mara truly understands what it means to embody a character, and take a walk in their shoes for a day. 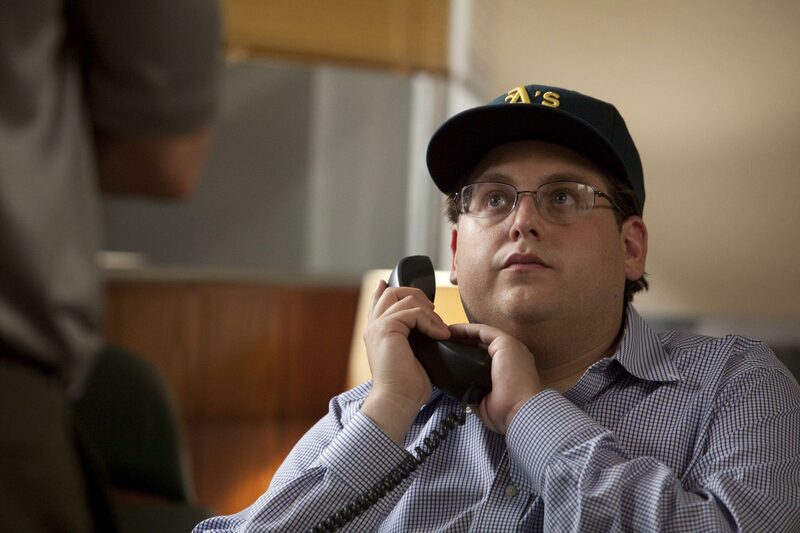 Jonah Hill has been a favorite of mine since his brief scene-stealing performance in “The 40-Year-Old Virgin.” His comedic chops transferred over well this year in “Moneyball.” He gives such a great dramatic turn because, in a way, he still acted as if he was a comedy. Peter Brand might have just been a more grown up version of himself in “Superbad.” I hope Jonah Hill continues to take comedic roles, but his newfound dramatic talents are worth continuing to explore. Maybe I’m biased because this is the only performance I’ve seen in this category. Screw that, Melissa McCarthy should win an Oscar. Megan may be too sexually overt and a little bit crazy, but its the confidence that McCarthy instills in her performance is what makes her such a funny and memorable character. She is not someone we ridicule for her antics, but rather someone we commend for being who she is. Many critics hailed “Bridesmaids” as the most groundbreaking thing for women since they gained the right to vote. That is a gross overstatement; but comedies that can’t figure out to make a good female character should just look right here. “Midnight in Paris” was not merely Woody Allen’s best movie in years, it was one of his best movies, period. I don’t normally believe in fate, but I believe this is the role that Owen Wilson was put on this Earth to play, because he delivered each line of brilliant dialogue with the same neurotic sarcasm that Allen would have, but with his own unique twist. The script also included a plot that broke the space time continuum, and so rightfully didn’t explain why or how this could happen. What “Midnight in Paris” realizes that few other movies do is that oftentimes the more you try and explain the unexplainable, the less sense it will make. Allen understands in this kind of movie that it is more important why the characters are there, not why it exists in the first place. Blending fantasy and reality has never been this funny. I thought “The Descendants” was a tad overrated. A very good movie, but not the masterpiece many have hailed it as. Also, it will be hard for another Alexander Payne movie (yes, even “Sideways”) to hold a candle to “Election” in my eyes. 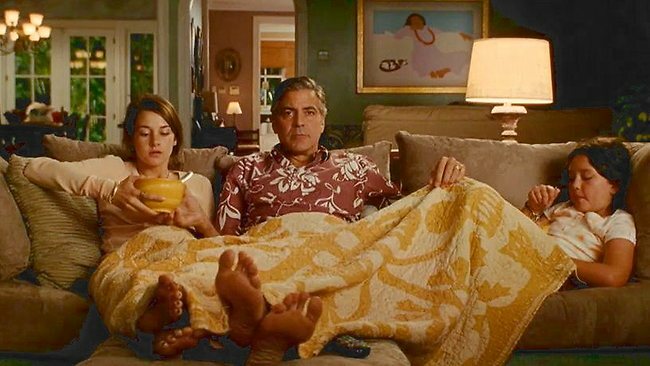 Nonetheless, “The Descendants” had one of the year’s best written movies, and it certainly is the most mature of all of Payne’s works. It is just as good as any Coen Brothers movie in its close attention to the beauty and humor of regional colloquialisms. The poster image for this movie has been Clooney running down the street in nothing but boat shoes. But truly the most unforgettable image from this movie comes at the end, as Matt King and his two daughters sit on the couch and watch TV, just trying to be a normal family again. I can picture that scene being written out on a script so eloquently, and so quietly moving. This entry was posted in Academy Awards, Oscars, Oscars 2012, Who Should Win on February 11, 2012 by ian0592. I think you are a genius and look forward to seeing your name one day in the bright Hollywood lights. Keep up your great work.